Before we dive into the MAG-AD9 conversion, let’s examine the history of pistol caliber carbines real quick. Back in the 70s and 80s, pistol caliber carbines were all the rage. From MP5s, to MAC-10s, to Uzis, many iconic pistol caliber carbines came out of that season in firearms history. These firearms are ancestors of pistol caliber carbines such as the iconic Tommy gun, and others such as Russian PPSh-41, the German MP-40, and others from in and around World War II. These firearms, and similar pistol caliber carbines, gained popularity in large part because soldiers needed a higher capacity, higher rate of fire for close quarters combat and in support roles for soldiers who weren’t on the front lines. The submachine guns of World War II were of a stark contrast to the large caliber rifles used by the common soldier, who’s .30-06, .303, and 8mm cartridges were much larger, with greater recoil and greater range. Ultimately, intermediate cartridges such as the 5.56×45, 7.62×39, and similar caused the pistol caliber carbine to lose some of its popularity as intermediate cartridges are a happy middle between pistol calibers and large rifle calibers. There isn’t really anything inherently wrong with pistol caliber carbines, or submachine guns if you prefer that term. However, rifles chambered in calibers such as 9mm or .45acp have significantly less range than firearms chambered in intermediate rifle calibers, and (as a general rule) calibers such as 9mm or .45acp do not deal as much damage as 5.56×45 or 7.62×39. So the lightweight, high capacity, low recoil advantages of pistol caliber carbines are not as stark of a contrast as they once were. In recent years, the American civilian market has seen a surge of pistol caliber carbines. We have seen many firearms be released in an “AR-9” pattern, an AR-15 chambered in 9mm, as well as other firearms such as the CZ Scorpion, Kriss Vector, Kel-Tec Sub-2000, and more. The AR-9 rifles in particular are growing rapidly. For the civilian market, pistol caliber carbines can make for good home defense rifles and excellent range toys and training rifles. 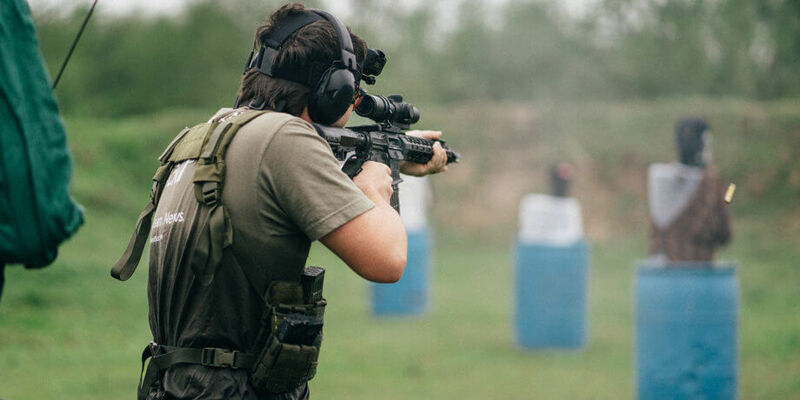 Many ranges in America do not allow rifle calibers, so a pistol caliber carbine is a great way to practice with a rifle without shooting rifle calibers. Similarly, 9mm tends to be cheaper than centerfire rifle calibers, making for these pistol caliber carbines great training rifles due to ammo savings – one could argue these things pay for themselves! 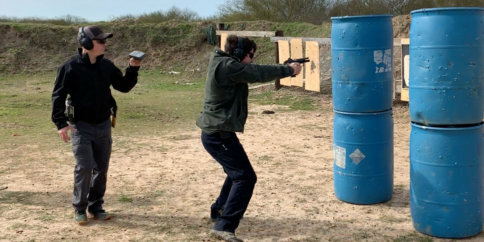 On top of that, there are a number of shooting competition formats springing up around pistol caliber carbines, such as USPSA’s PCC division. Enter the MAG-AD9 9mm AR-15 Conversion Kit by Stern Defense. This handy little device inserts into an AR-15 magwell, allowing a standard AR-15 lower receiver to accept Glock 9mm and .40cal magazines. Simply slap on an AR-9 upper receiver and bam, you’re shooting 9mm with a last round bolt hold open using your existing AR-15 lower receiver. Constructed from 6061 T6 aircraft grade aluminum. 4140 NiB coated feed ramp. Hard coat anodized type 3. Works with any mil spec AR-15 lower receiver. I have been looking for a 9mm conversion block adapter for Glock Mags and everything I am reading sound like Sterns is the way to go. Price is a factor but reliability and function are more important.